You coul d gift them a gift wrapping them in a very well designed and molded gift wrap, but they remain more concerned on what is kept inside, rather what is ravishingly beautiful outside. It would turn out to be a dangerous if you forgot to gift Aries on some special occasions. Taking into account of the personality people of Aries possess, you must select your gifts for them. 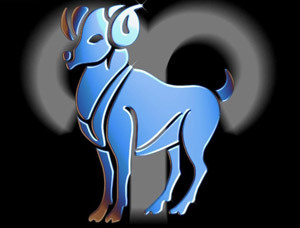 It is the impulsive nature of Aries that makes them more active and vigorous. They could even turn out to be heavy with temperament. Hence while selecting gifts for them you need to keep these attributes in mind. They always have a barging interest to begin something new and trendy. So in order to gift them, you need to be more focused and précised towards the latest trends and exciting stuff as well. There may be many Aries in this world and there might be people who don’t share equal mentality. Hence to present a vivid picture of what gift items generally Aries like are given below in some of the paragraphs. To begin with, you could surely impress an Aries with an appropriate jewelry as a gift. Aries like them big and better. Items such as necklaces, bracelets and jewelry studded watches are best options which you could give to the Aries to win their hearts. Small jewelries and trinkets are a big no-no, which must be avoided. As Aries took severe interest in sports and athleticism, you could gift those, tickets for some sporting events of their likes. You could also give clothes or merchandises related to the sports they like the most. Being active and learning new things is an attribute to all the Aries. They don’t want to sit idle at any point of time and always try to begin something new by any chance. You could make them more devoted towards their new projects and works by giving them inspirational books or study materials on particular topics. Instructional books and books which could prepare them to start something new could surely turn out to be a great gifting option for the Aries. This might sound interesting, but Aries do have niche for latest electronic gadgets and instruments as well. Whether it be a GPS of your car or a latest mobile phone, you could gift them any new electronic gadget to make them happy. Lastly, you could also make an Aries happy by giving them the most happening gift to them that is kitchen instruments. You could give them a very ordinary kitchen piece or a dinner set to begin with. Cooking is also loved by Aries and hence you could gift them some cooking books, to prepare great dishes, as well. In a nut-shell, Aries is mostly a vibrant sun sign which takes proper gift items to get pleased.